The cover of Nav's newest album, "Bad Habits." 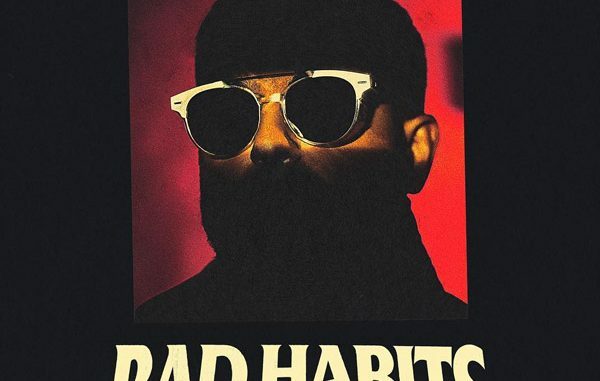 Toronto’s own Nav (Navraj Goraya) returned to the rap scene with another set of dark melodic hits when he dropped his new album “Bad Habits” on Friday, March 22nd. After the hype had settled, the following morning Nav went onto Twitter to end all of the retirement rumors by announcing the release date for “Bad Habits.” To add to the excitement, Nav also announced that the new album would be executive produced by Toronto pop star and fellow “XO” man, The Weeknd. The new album did not disappoint Nav fans, who just three weeks ago feared the end of Nav’s music altogether. The opening track “To My Grave” is classic Nav with punchy lines that boast his luxurious celebrity lifestyle. He also showcases his unique high pitched singing style in the chorus, creating a sound that is unmistakable. The first feature comes just four songs into the album when Philadelphia legend, Meek Mill, takes the lead verse on “Tap.” Meek Mill’s thunderous flow beautifully contrasts with Nav’s singing on this track. On song six, The Weeknd moves from his producer’s chair and steps into the booth to add another song to the XO duo’s repertoire. After the success of “Some Way” on Nav’s first studio album, which featured The Weekend, it is safe to assume this song may see a similar level of popularity among fans. The album takes a turn on song 10 from Nav’s unmistakable soft high pitched sound, to a new Nav with swagger and punchy lines that aim to diss all who have ever doubted him. Song 10 features rap’s very own rookie-of-the-year, Gunna, who has been on a roll since releasing two albums in 2018 and his most recent record “Drip or Drown 2” in the early months of 2019. Gunna and Nav collab to create their best record together yet. The song titled “Hold Your Breath” begins with a series of serene xylophone chimes with Nav bursting onto the record to address his level of status and his success with women. Following “Hold Your Breath” Nav pays homage to his mother with “Why You Crying Mama.” The deep and meaningful song is laced with experiences from Nav’s upbringing and how his mother helped him through life. Nav also expresses his want and ability to spoil his mother, now that he is well off. This song is special because it also contains one of Nav’s signature switch-ups where the beat takes a turn midway through the song for a slow abstract beat with him singing over it. The final feature comes in song 12 when Chicago rapper, Lil Durk, joins forces with Nav for “Time Piece.” If there was any doubt about Durk’s return to the rap scene recently, it can be put to bed with another feature that would leave the feature king himself, Drake, impressed. Nav rounds out the 16 song record with more solo tracks like ‘Dior Runners’ and ‘Stuck With Me’ that emphasize that Nav has made himself in the rap game and is here to stay. Overall, “Bad Habits” was on par with Nav’s somewhat predictable style. But for loyal fans, it is everything they could have wanted and more. This album marks Nav’s fourth studio album and more importantly solidifies the fact that he is not retiring.